THE THREE ISLANDS OF NUSA LEMBONGAN, NUSA CENINGAN AND NUSA PENIDA OFFER SOME OF THE MOST EXCITING AND REWARDING FUN DIVING IN INDONESIA, WHICH IS WHY MANY OF OUR GUESTS RETURN YEAR AFTER YEAR. The fringing reefs are in fantastic condition and are home to an incredible variety of marine life, both big and small. It offers some fo the best fun diving in the world. 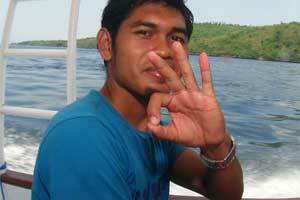 Recently the area has been classified as The Nusa Penida Marine Protected Area. 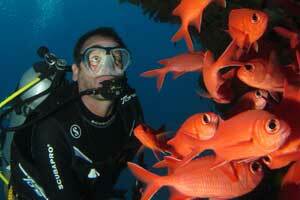 Fun diving here offers everything from vast sloping reefs to steep drop-offs and sheltered bays. You can enjoy exhilarating rides on ocean currents or lazy explorations of the reefs. Our big fish include famous Oceanic Sunfish and Manta Rays! For macro lovers we also have lots of funky critters. 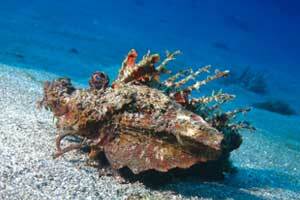 The fun diving is as varied and rich as the culture of the islands and the people themselves. Send us an email today and book your next adventure! Please let us know the certification level, date of last dive and how many logged dives, together with the first names of all those who would like to dive. Happy bubbles! Big Fish Diving head out every morning for two dives before returning at midday. During the surface interval we provide a tasty Nasi Campur lunch and also have tea, coffee and plenty of drinking water on board. 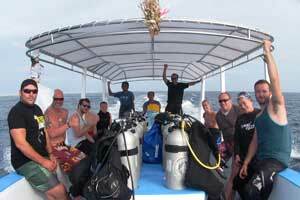 During the busy high season from June till late November we also make another 1 or 2 tank dive trip in the afternoon. This trip is dependant on tides and weather conditions. We keep our group sizes small to ensure you get the most from your dive and are certain you’ll love our guides. They not only have plenty of experience, but warm personalities and big smiles to boot! Average visibility around Lembongan is 20 – 30m. Water Temperature: January to July 25-29°C is average and then the temperature begins to drop for the mola season, where 20-26°C is more common. By December the water warms up again. There is a Mastercard only ATM on Nusa Lembongan but it’s not that reliable so bring cash with you or change foreign money in Bali for a better rate.